Welcome to your next step in Becoming YOU! 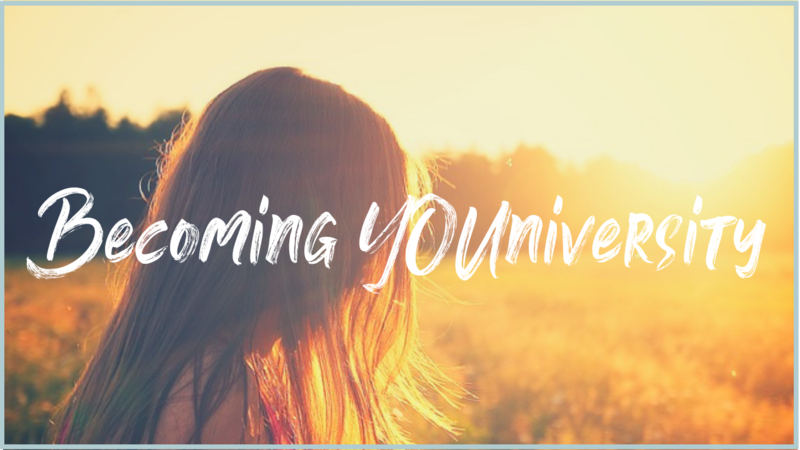 BecomingYOUniversity will help you remember who you really are and expand into your truth with clarity and courage, so that you can live the life you know you're meant to live! This is a community unlike any other. When you join, you enter into the most aligned, inspired, and dedicated group available at this time. You'll discover your soul community - your sangha - a tight group brave souls committed to the path to inner freedom. Whether for you that means creating more presence and peace in your life, living more intentionally, or embracing your purpose with clarity and conviction, we are united in our journey to live our lives to the fullest - and with open-hearted ease. You'll discover connection and support like you've never experienced before, and get my hands-on guidance every day. Because there's nothing worse than discovering your brilliance and earnestly wanting to live it, but then getting bogged down in the confusion and frustration of endless self-development (more like self-perfecting) techniques. BecomingYOUniverisity gives you a personal guide and advisor (me) in your pocket when you need it the most, so that you can create the change and life you desire YOUR way - and on YOUR timeline. To jump-start your experience, you'll also receive 6 bonus Yoga Nidra meditations. These guided "sleeping" meditations will help clear and harmonize your chakras, so that you can move beyond energetic limitations, release the frustrating imprint of karma, and free yourself to feel more aligned, present, and happy. You'll also receive a second bonus - one of my favorite mini-courses: a 5-day Journey to Love. This week-long program helps you shine light on and liberate yourself from the negative beliefs keeping you stuck feeling alone and unsupported. You'll be gently guided to create new, supporting beliefs that help you open your heart and feel rooted in love, so that you can begin being and receiving more connection and love in your life right now. Start your journey to inner peace, purpose, and freedom now. Join BecomingYOUniversity. To get started and claim your bonuses, choose one of the options on the right. Once you are a member, you can cancel at any time to prevent further payments.